If you are starting out in the world of business, it may be on your to do list to secure yourself a business loan. Business loans are ideal for small or new companies, who are looking to grow and develop their business ideas. Unfortunately, lots of business finance applications are denied simply because companies don’t do their preparation beforehand. By thinking ahead and taking into account some simple pointers, you could ensure that you are granted the financing you require to move forward with your business. It is vital when applying for business finance that you can present your application in a clear and concise manner. If your case isn’t well supported, and the financial lender cannot see that you have thought through your application, they will be much more hesitant about approving a business loan. This is your chance to put your best foot forward, if you can’t instil confidence into the lender and show them that you understand your business plan fully then they will be much more likely to deny your application. Not only do you need to think about how the loan will benefit your company, you also need to show how you will repay the loan to the lender. 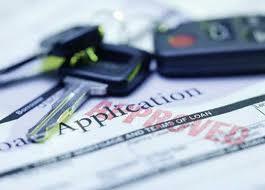 It is also vital that you can show how you will generate additional income if you secure the loan you are asking for. You need a clear-cut statement of operations showing your action plan, to provide evidence to the lender that you will be able to pay back the money you are borrowing. The more evidence you can provide that they are going to be repaid their money, the better chance you have of being granted the business loan. Lenders will want to be shown future projections, a minimum of three years is usually expected, so take the time to prepare this carefully. On top of this, you should provide the financial lender with a profit and loss sheet, which should show the month to month changes of your businesses finances for the past couple of years. Another thing you should take into consideration before applying for business finance is your contingency plan. What will you do if you get into financial difficulty? How will you repay the money to the lender? Many lenders will expect this information before granting finance so it’s important that you are able to provide them with your plan. The idea of the plan is to make sure they feel confident you will be able to repay them the money if they provide you with the loan, so again, make sure this is transparent and that you provide as much information as possible. Take the time to research the financial lender you are contacting, find out what they expect from applications and make sure you tick all their boxes. If you do all the hard work for the lender, and they don’t have to come back to you with questions and queries, this will create a good impression and will put you in a better position with the lender.